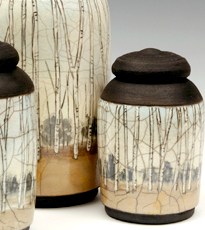 Exquisitely hand painted, Raku fired stoneware vessels that are evocative and serene, by an artist whose works have graced each of FUNERIA’s Ashes to Art® exhibitions since 2001. 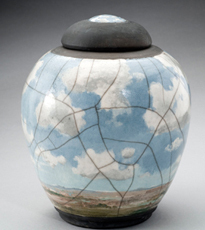 Bruzzese’s more than 20 years experience as a painter is amply demonstrated in the underglaze painting she employs while creating her signature hand painted raku-fired stoneware vessels. 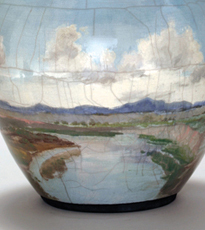 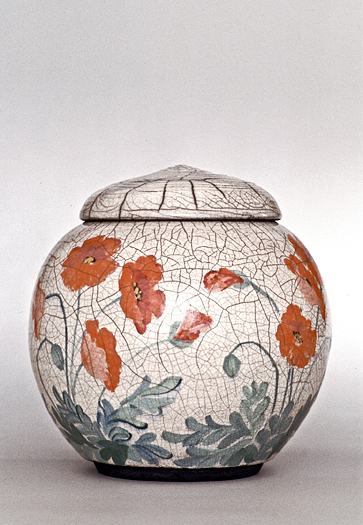 Rather than thinking of the painting as a mere surface decoration on the vessels, the shape of the vessels serve to enhance the imagery and vice versa, resulting in a symbiotic union of form and image.